If you are fan of Kathy Reichs's Bones series, you may enjoy this younger version, of sorts. Lexi Carmichael of the Lexi Carmichael Mystery Series, is not a mature Asperger medical examiner like Bones, she's a twenty-five-year-old Asperger computer security expert. Part of the reason I loved hacking was that I could lose all connection to the real world. Sometimes I had trouble navigating the real world. My virtual world was my zen, my center. The author inserts much humor into her books, and a lot of it comes from Lexi's social misunderstandings, which can lead to physical altercations. When the series begins, Lexi works for the U.S. government's National Security Agency. As the series progresses, she leaves the NSA for the private sector. 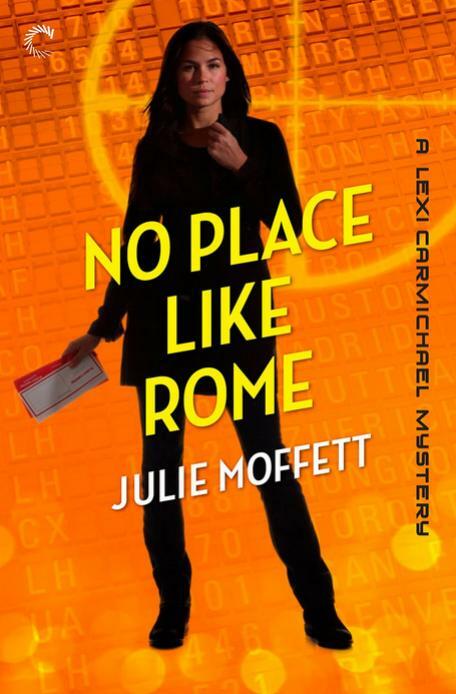 I've read only one book in the series, No Place Like Rome, the book that brings Lexi to Italy, along with a hot-stuff Italian-American special agent nicknamed Slash: "Mystery and enigma all rolled into one". Luckily Slash, a recurring series character, is loaded with bucks, so the trip is first-class all the way. 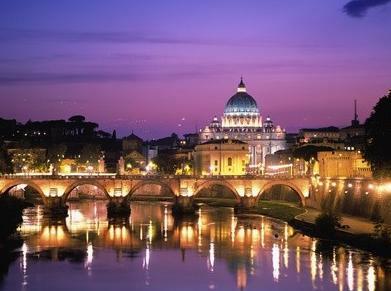 We're just a three-minute walk to the Vatican...a beautiful suite...you could see St. Peter's Basilica from the window. 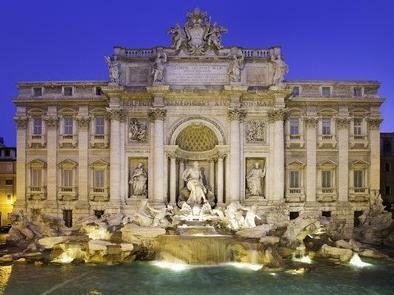 Italy's touchy-feely culture mystifies Lexi. This is shown to the extreme when she meets Slash's Italian grandmother. 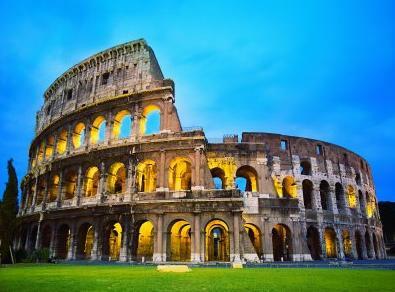 Italy's often overly demonstrative emotions are actually a good thing for an Asperger. Lots more clues are present for them to pick up on what is going on behind the facial masks they see. it, although it sure did confuse the heck out of me. Lexi is not the swiftest in deciphering people, so she is unaware of just how much the men in her life adore her. Yes, I said MEN. They find her social awkwardness endearing. The colloquial, slangy first person monologue/narration drops hints for us to pick up about this, but most of them are over the head of clueless protagonist Lexi. Lexi is more than an Asperger computer geek, she is also mildly neurotic. To help smooth her way in life, she relies heavily on her best female friend, Basia. ...I was beyond thrilled Basia would be coming. She was my eyes and ears in social situations and the way things were headed with Slash, I was desperate for her guidance. The book presents the problem/mystery well, and includes us in much of the computer security work, leading up to an exciting finish. There are a few typos, some repetitiveness, and a bit of playing fast and loose with history, all things that may be fixed in later editions. The series is a quick, light read, with plenty of laughs, and with an appeal that may be greatest for young/new adult readers. There are six books to-date, with more in the works. The author also has an historical romance series in print. Here are links to those books, in case you are interested. Please visit the series' website, or the author's website. She is present on Facebook and Twitter.